PointOS is a Restaurant Management Platform providing smooth operations to all aspects of the restaurant ecosystem. We are committed to providing restaurateurs all the tools needed to make their business more profitable. The PointOS platform provides an all in one point of sale system with features ranging from inventory and labor forecasting, to detailed reports and analytics that help you to make the right decisions for your business. Pros: I like the set up of the software. I have three stations in my bar and they are all linked so you can add items to a tab from any station. The system is easy to use, based on my experience and that of my staff. Several of my staff report that PointOS is much easier to use than other software they've used at other bars. 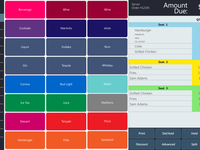 The item menu can be easily customized and alphabetized. I like that you can add recipes so if someone isn't sure exactly what's in a drink they can click on the recipe and see it at the station. It calculates cost per ounce when you add items to the inventory so figuring prices is easy. The sales reports are quick and easy so it's simple to pull reports to figure tax each month. There are also employee reports and each employee clocks in so hours are very easy to figure as are tips collected. Cons: It would be nice if there were more item tabs. We sell a high volume of alcohol and mixed drinks and we don't have room to put all of it on its own tab. Another thing that would be nice, but really not a big deal, is if there were more icons to make the item tabs easier to find. There are some icons, for instance the more popular beers have an icon so it's easy to recognize. For items with no icon, you have to type it in. You can highlight the items by color which is helpful. It is cumbersome to add everything in but I suppose every system is that way. Overall: Overall I haven't had any major issues. It does run slow at times but that's probably related to the internet not the system. I've been using the system for nearly three years. I started with one station and recently bought two more. It is nice that there are no monthly fees. Overall, I would recommend PointOS. Great beginning machine, maybe not for a larger business. Pros: Overall, it is a decent budget POS with a lot of high end functions. I did like the report functions, the weather reporting and incident reporting and inventory functions. Cons: At this stage, it is a little dated. The cloud was never connected and always had to be manually started, which defeats the purpose of having a cloud back-up. There were many parts, like modifiers, that were really clunky and made operating difficult. I hated how you couldn't name reports that were emailed, and everything came across with the date and time you emailed them. You would have to write down what reports you were running so you could remember when you got in to email to see them. I would have been nice if you could name them, or if they were named the report that you were running. I didn't like the limited amount of modifiers and the limited about of characters you could write to the kitchen. But I mostly hated that the cloud never worked, leaving me feeling vulnerable to computer failures and loss of data. I also didn't like having the wait staff modify the tips, its so much nicer when the system adds it in, it leaves less room for errors. Overall: Overall, for a business just starting out, it was a great solution and your tech support was always really amazing. I feel like we grew out its capabilities and needed to move in to 2018. I was really excited when I saw the new version coming out, but after waiting a year for it to happen, I moved over to a cloud system. I feel more secure knowing I have auto back-up and knowing that 5 tips don't become 50 at the end of the day when the servers are tired and adjusting hundreds of tips. My biggest beef is I switched to a new system in February and despite telling the company three times, I am still getting charged for the cloud, which was so useless it wasn't worth paying for. I can't get anyone on the phone and despite about 5 emails on the matter, I have heard nothing. Now I have to call my credit card company and dispute the charges. Pros: I like the fact in a tablet world, that I could install the software on a Windows PC. You actually own the software and the service contract is reasonably priced compared to others. By switching to PointOS, the processor they required for direct integration has been great and has saved us a bundle. Cons: While it's nice to own the software and run it on a Windows box but Windows 7 is getting harder and harder to find. While the software worked flawlessly for the first year it has become sluggish and there have been numerous remote reporting outages as of late. They have been promising a brand new version for over two years and they finally have picked a launch date. The software looks dated and you have to run the system at a very low resolution to function properly. Lastly, automatically added charges or discounts are a percentage. If you want a happy hour price you have to set a happy hour price for every item. Overall: There have been a couple of issues that I have addressed with the company with no resolution. Truthfully it could be more but I dont recall, as we have been running the system for a couple years and I found work arounds. One of which I turned off printing sales tax on the receipt (as we include it in the price of the drink) and it still printed it on there. Another issue is different reports from the same day dont equal each other i.e. server sales reports vs a detailed daily report. As mentioned above the remote reporting software called mypointosconnect has been down many times for multiple days. When contacting customer service wait times typically run less than 15 minutes sometimes less than 2. Its not horrible software but its showing signs of age while other offerings add nice new features, PointOS has a built in jukebox that I've never ever used. I use streaming services for music in the establishment and have since a hard drive with 15k songs crashed during a busy night. If you looking for cutting edge features, you'll be better suited looking elsewhere but if you want something that works day in and day out with limited frills this might be your software. There update might fix some of my gripes, I'll find out the first week of August if they meet their deadline. Pros: Working with the company initially, assistance with installation. Completely simple without extra fluff. Inexpensive. The credit card processing company is top shelf; helpful and pleasant to work with. Cons: The Cloud is not reliable. Extra steps, like running a credit card, pop up with every order entry. Having to name every tab if it's not cashed out right away. The reports do not translate well to quickbooks for our accountant. If you hide or delete a menu item, it gets "ungrouped" which makes it impossible to get accurate reports by category. For example, we change Draft beers several times a week. We "hide" or delete those buttons because the page would be full several times over. When we run a report, we get a total for beer, and also for each "ungrouped' item, by name. We have to figure them out and add them back in to the total. I think that reports by hour are set up strangely. We open at 11 am, so if I want to add up shifts, I start there and add up until 3, then 3 -8, then 8 to 11 and have to go back to the top for the rest of the day until 3 am. I don't know how to tweak this or if it can be tweaked. We've had so many support calls, we all dread them. I'm sure there are more examples. Overall: I had a hard time accessing reports for May (I think it was May) because the Cloud was down. I have to access them separately and add in information because it was out for weeks. That is a real problem. The weird reports are a problem. It is pretty easy, otherwise. And for a place less complicated it might be fine. Hey Robin, Our Team can help with the report start and end times. Also our new version bridges all the gaps this classic application may need to work well for you. Please get in contact and give you an over view of the new version. Pros: It's easy for employees to use, once you get that everything is ounce based it's pretty easy to program from the back end. Support is friendly and always answers and will move you up the food chain if you have a unique issue. Cons: It has bugs and issues. I also can not see what items are tied to inventory items so if you make a mistake programing and building the data base good luck ever finding it. The reporting is minimal but better than what I had. Overall: Over all this software works well for me, my employees and myself have found ways to work around the issues that never get fixed or seem forever to be addressed. I don't like that PointOS does not let you know when they have fixed something you have reported. I use this for my liquor store and bar. Pros: The only possible pro to this software was that you can download it online and there is not a long delay for setup. Cons: Implementation of the PointOS Profesional software along with their hardware bundles was an unmitigated disaster. The software is riddled with glitches, anomalies, malfunctions and bugs. I spent hours and hours and hours on line with tech support fixing problems within the first 2 weeks. After an agonizing opening week with thousands of dollars lost in comped food and upset customers I called in an IT expert to find and fix the problem. Ultimately, the hardware I received had a defective network adapter that caused the software to malfunction. PointOS abdicated all responsibility for their defective hardware and dragged me along from 8/9/17 to today without ever offering a resolution. If you are looking for a nightmare software/hardware backed by a company that fundamentally fails to be not only proactive but even reactive to a customer's crisis than look no further. I purchased PointOS Professional for the lower price tag and quicker turn-around time and it was the worst mistake I have ever made. You will PAY MORE for PointOS Profesional than their competitors once you figure in the losses, stain to your business reputation and sheer aggravation you will endure with this company. Best case scenario (everyone works right-which I guarantee won't happen) the software lacks countless basic features. As a small business owner, I urge you to steer clear and wish you only the best of luck if you've made the mistake of purchasing the software before reading this review. Overall: Actually and absolutely no benefits whatsoever. That sounds exaggerated--but it is not. Pros: Customer service during the day is very helpful. Multiple pricing options are useful. Cons: Night time customer service are not as knowledgeable, but are still very nice. The initial set up was very time consuming. They do hardly any of it for you. Little to no training. Just "play with it and call me with questions." I called constantly and had to redo things multiple times because no one had explained all the features. (Little boxes to check and what not). It's has a fairly slow reaction time. Reports are confusing and need a lot more work. Modifier report doesnt even show any prices of those listed modifiers. Inventory reports do not give you any kind of comparison. I have to go thru each menu item and calculate how much I am missing individually between what I had, what I sold and now what I actually have left. My receipt printer was printing an extra 6 inches of paper for 6 weeks. During that time I requested help to fix the settings over 15 times. Finally, it is now printing normally. (This particular printer is very paper wasteful even at the smallest parameters. If I were to add a logo a one item purchase it would print a 10 inch long receipt! I said forget the logo, and settled for a 7.25 inch receipt. The open tabs are not well organized and make searching for a current customer time consuming. My staff are all disappointed in our purchase. Overall: Sales person sold it well. However, it isn't easy to set up or use, reports are not set up well (at least not for my bar business) and customer service is great (especially day time) but recomendations to "development team" seem to fall on deaf ears or take very long to get a response. Recommendations to other buyers: Pointos gets the job done. But I have probably spent 90 hours on the phone with customer service in the last 2 months. Pointos seems like a small company that doesn't have all their issues worked out yet. Again, I love the customer service personnel! But the program needs work!! I'm sorry you had issues setting it up. It is a very robust piece of software with many settings, however we try to keep it as simple as possible. We allow imports of menu items, inventory items and employees directly from Excel spreadsheets to speed up the setup process. However, like QuickBooks or any of our competitors there is a learning curve if you are not familiar with Point Of Sale software. Once setup we do strive for ease of use for the server, bartender or other employee using the system. The interface on the front end is intuitive and simple to use. We offer many resources for setting up the system in addition to our 24/7 support. We have videos, online manuals, a knowledge base. 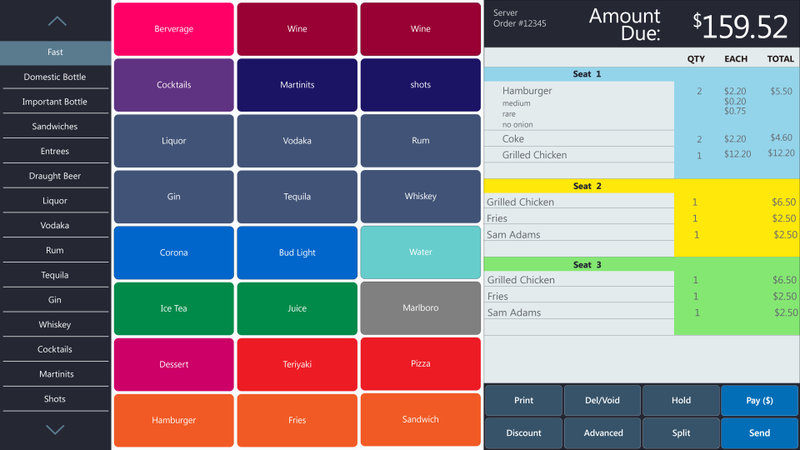 Additionally you can talk to sales about setting up your menu for an additional charge. I hope that now that it is setup, it is meeting your needs. If not please contact me personally and I will help you with any remaining issues. Pros: Software is easy to use and technical support is always friendly and available 24/7. Cons: Customer service is completely lacking on this product. Purchased the remote desktop feature and it never did work on any device. iOS, Andriod or PC. This was a license for an extended time period. PointOS would not return any calls on this for weeks. When I was finally able to get ahold of somebody, Point OS refused to technically resolve the issue, or offer any refund, pro-rated or otherwise. Overall: Software is straightforward as long as the new updates don't screw any thing up. The great thing this company has going for it is the technical support department. Customer service experiences were terrible. Pros: It is easy to use. The set up isn't complicated. The daily use is fairly easy even for those with limited computer knowledge. Cons: The system does not work well for a business that utilizes charge accounts for customers. When those customers pay, there is no opportunity to add a tip when using a credit card. "Creative" bookwork has to be used to accommodate these tips. Which is something we do not want to do. Overall: Overall it works well for our situation. There are several things that I would love to be changed to make it even better. Pros: Loaded with features. POS, Scheduling, Membership, Email intigration, delivery, payouts, calendar, more. Cons: Poorly documented in some areas. Getting information to implement product functions if you can't figure it out in the manuals will require an additional support contract. In short, after the purchase you are on your own unless you pay them s lot more money. Overall: The software is exceptional - it is the service and support that makes this product a very poor choice. Pros: Price and features. It really is a great system for the price. Aside from a few of the glitches, it's well worth the money. I'm very happy with my purchase. However, if you are not tech savvy, be cautious buying. Customer support and technical support is useless. I set it up myself from day 1, so I was able to make sure everything was programmed properly. Cons: There's still a lot of glitches in the system and customer support is some of the worst I've ever experienced. Technical help also is awful. They couldn't help me anytime I called in to tell them about some of the glitches I've noticed in their system. In fact, the one time I called in, the lady actually said, "wow, you know more than us about this". Pros: Locally based hardware installed and installed with reliable LAN with added in the cloud back up and iPad connectivity makes this a winner! Thank you for the glowing review. the entire hard working team here loves seeing these! Pros: Very intuitive, easy to set up and modify. Cons: Reporting, canned reports are just Okay. Need ability to generate custom reports and run automatically like the current daily , weekly, and monthly reports. Could use some more info on the background SQL setup. Thanks Dave! we know you'll be happy with XE it will give you all the flexibility you need! Pros: PointOS is a great low-cost option in the expensive world of POS. 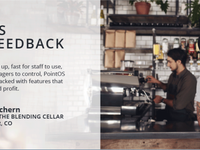 We have used PointOS since we opened 4 years ago and they continue to add and improve features based on customer feedback. They have outstanding customer support! Cons: Lack of online ordering capability and tablet orders. Pros: One time purchase. Great hardware options available, but will run on any windows PC. Touch screen is best, but not required. Cons: Split tenders seem to generate problems. it will go ahead and print the kitchen ticket before getting full payment. Overall: Overall a solid purchase, good value. Knowledgeable sales team. Responsive customer support. Easy to use POS. Great for pizza shop. Pros: Pizza builder makes it easy for for our staff to create custom pizzas. The system is easy to learn from set the set up to daily use. Cons: The only issue we had was with the printer when we initially installed the product. Resolved with a replacement. Overall: Quick start up when we opened up the restaurant and very little hassle going forward. I have complete confidence in the team at PointOS to help us resolve operational problems where the POS system can be of help. Great system that could use a few minor improvements. Pros: The ease of learning the system is great for new employees. Simple yet effective. Cons: I wish the inventory was a bit more precise and user friendly. Overall: We use PointOS for a bar. Overall we are satisfied with the system and what it allows us to do. Overall: Have not really realized any gain, there are a couple of things we wnted them to do for us but there has never been a reply to our requests, no phone calls, no feedbacks. they are just horrible when it comes to customer service. Cons: Limited amount of Pricing levels for a single product. (Only Good Customer, Special, Regular or Employee) As an example, you can't have "Bud Light" at regular , lower on Tuesday and a different another day... you can only have one pre-set price drop per week. Pros: The only software that does what I need. Pros: Easy to use like adding new menus or easy setups, etc. Cons: A lot of bugs. Not completed program yet. 1. Easy to mistake to hit cash payment button while printing customer receipt. This is most common mistake from every servers. 2. Some discount item (like wine special) prices are not reflected in the breakdown but total is correct (screen viewing is correct but printing is different from screen view). Not a professional POS yet! 3. Monitor size and PointOS screen mismatched. Too small screen! Simple to use. Wish the online support was better. Cons: Put a second system on it and it's slower then the first computer. The mypointos app is unavailable. Support hasn't gotten back to me in two weeks. Thank you for your feedback. We take customer contact seriously and apologize for your experience. PointOS Support will reach out to you within the next few hours to follow up. They will also create a support ticket. We recommend keeping those on hand. Pros: Been using the software for quite a while, and it's been working ok so far. Customer service is been very helpful. Cons: Only complaints is when I have issues with the software there's no one can help you if it happen on weekends. Overall: I am satisfied so far. Pros: Ease of use, reports are plentiful but not always right. Easy for new hires to learn. Quite cash out process. Cons: Have to have to many modifiers to complete an order. Wish it was more condensed but maybe I don't have it set up right. Pros: I like the reports from current to past day. How it sends reports to let you know how you have done for the week with production and where you are on payroll. Cons: I wished the system would also do a graph to show how you did over the past couple of weeks as well. Overall: I was told the system had an integrated scale. It does not. Comments: This one isn't even paid off yet and I'm already looking into replacing it. Pros - price, easy to use, my sales guy/customer service guy is good. Cons - touch screen works horribly, bartenders had to resort to using pen caps to get it to accept. It has been that way since day one. Tried stylus pens and those don't work either. must purchase excel to have reports emailed or printed. can't check online live unless pay for their service, credit card merchant options are terrible. can't bring up previous days closed tabs to check things that might be wrong. can't reprint cashier closing reports. can't split tabs 50/50 or 1/3,1/3,1/3...etc, etc. only by item, can't have the same item on special multiple days with different prices without changing it manually each day. It's a decent enough system but I'm not satisfied I should have went with the pricier one!!! The hardware issues as far as the touchscreen are strange. Screen might just need to be calibrated. The hardware is older and not purchased through us. A touch screen is just an input device like a mouse. Our program does nothing special to make it work. You should contact the manufacturer. We do export to Excel but Open Office will open .xls files as well for free. As far as online, we offer full cloud services for $99 year, but have free basic online and iOS app reports for free. All previous tabs can be brought up by clicking the tab in the closed orders list. Here it can be reprinted. Also, you can split checks by item or by payment amount. You can also have an item on special multiple days. We support 5 different price options with Happy Hour and Specials able to change the price on a time schedule. Cons: Need to be able to delete individual items on order without having to put in your code each time. Excellent POS for its time. Pros: Very fast. Feature packed. Excellent customer service. Cons: Credit card provider. No choice but theirs. Windows based, very cumbersome. Heavy footprint. Overall: Program was excellent but did not upgrade to tablet based. Too bad. I have been with NCR silver pro for a few years. iPad based but fairly slow and below average customer service. Lacks features. Very slow to add obvious features. Cons: Ability to keep an inventory of the components that goes into a product e.g cups, straws etc. Pros: price and credit card processing features. Cons: entering the menu items into the system. Overall: overall I thing the system is a great fix for my business. Pros: It was relatively easy to set up, I was able to train the end user on the parts of the software that mattered. Cons: You MUST purchase a year of support when you purchase the software. Even if I have already purchased the software for another location. This is absurd and a waste of money. The software is expensive enough and doesn't have an overly professional feel to it. Overall: I mean, it does what it is supposed to do which is ring up orders and it has the ability to do so much more but the owners can't afford to hire me to program their software and they don't have time to put into it all that it can do so it is just basically using its basic functions. Support is expensive and required which was a terrible point. So terrible, in fact, that I will never recommend this software to any other company I represent again. Pros: The pricing was fair. networking and backroom reports are fine. The system installed ok with tech help. Cons: The sales person promised the functionality but was wrong. System doesn't open tabs as told. I was told it couldn't be done the way our software and others do it. Lots of programming in areas that are not popular in our area like music playlists etc. maybe in other areas that works not sure. biggest problem spending 1100+ for the one feature we needed in a busy bar. Overall: zero lost 1100 on purchase. We have made some really great additions to the Software. We will reach out to you and discuss your tabs issue. Pros: PointOS was very easy to install, and setup. It handles take out orders, and call in orders very well. Cons: After a cashier does a z-out (end of day closing), the PointOS system will not let you make a sale, until after the drawer cash is entered. Also a search feature, for all items for sale, would be helpful for new hires who are not yet familiar with the menu. Overall: PointOS gets the job done and the price can't be beat. Cons: We are just a small bar so it's a little more than what we need but it works well. Pros: Appeared to be functional. Appeared to be practical. Cons: Became necessary to reinvent everything, system did not have required software installed, very user unfriendly. Support after paying for continued support system would not update. Overall: Too complicated for small operation. Cons: Complete pain in the a** to set up. Operation not particularly intuitive at first. Overall: Very good - once you program it. Took me 25 data entry hours to load all of my menu items and tie them to inventory and I'm not that slow. My staff and I played with it a lot before we had enough confidence to go live with it. Some little twists and turns that need to be learned, but no major deal. However, once set up and going works beautifully. Totally satisfied. GETTING OVER CHARGE, and not get the money in the account right, the credit card processing go's offline and can't charge any thing. Pros: Customer support is excellent and free, easy to use and you can program it by your self. Cons: They are attach to ONLY ONE Merchant provider, called Merchant Warehouse. Merchant warehouse, are rude, very poor customer services, and hard to deal with. Hope POINTOS will open to more Merchant providers. Comments: I personally set up and sell point os. The system is easy to learn especially with the FREE tech support and FREE online manuals available at your disposal. Buggy i think not! Works on almost all windows based systems to boot. Pros: This is the best software I have found for my bar at any price. Customers love the integrated music, and it makes checking id's really easy.